I don't know about you, but the first place I look when I go to buy something is Amazon. They have just about everything you can imagine, and because they're such a retail giant, the shipping is usually reasonable and fast. 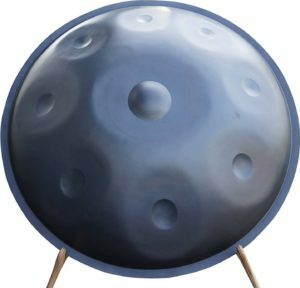 Where the hell does one buy a Spacedrum? Their manufacturer Metal Sounds of course! What tunings / scales are available? The instrument is available in three different sizes, 48 cm, 55 cm, 60 cm. 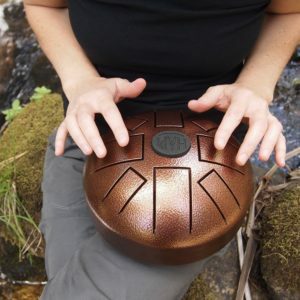 As with most hand pan style instruments, the larger they are, the more resonant sound they have. The larger models also have more notes. I suggest the 55cm or 60cm models. There's quite a large variety of tuning options available on their website. If you're looking for a scale that isn't listed on their store, they also allow you to request a custom scale. There are some limitations to the scale though. It says on their website that the lowest note of a custom scale can be a C3 (Do3) and the highest note can be a C5 (Do5). They also mention that if the bass note is below G3 that it must be placed on the side of the instrument. What does the Space Drum have going for it? 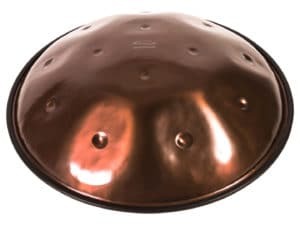 In short, it's an extremely well made hand pan. 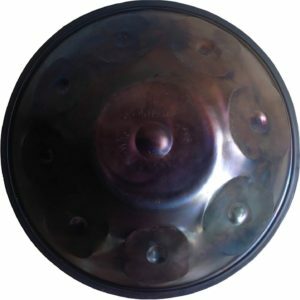 While it is not made according to the PANArt method like the Tzeavaot pans are, the Spacedrums are still made to a very high standard comparing them to the kind of hand pans that you would get out of Vietnam or Bali for example. 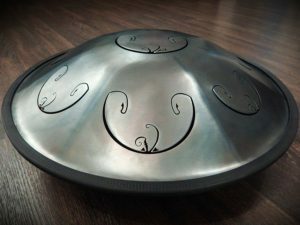 When it comes down to it, choosing your hand pan is all based on the sound the instrument produces, and that is subjective. I encourage you to listen to all of the options available and choose one that resonates with you the most. It's definitely a lovely sounding instrument. Wait what?! There's a 12 month waiting list? Yes, sadly there is a 10 to 12 month waiting list on all Space Drums sold on the Metal Sounds website. Which is most likely a deal breaker for most of you, considering there are a lot of other options on the market that sound just as nice, if not better and are available for immediate purchase. Although if you have your heart and soul set on a Spacedrum, it may be worth the wait. Note: Hand pans listed on Amazon regularly go in and out of stock, so I suggest checking back if one of my suggestions below isn't currently available. As already mentioned above, the Tzevaot pans are a fantastic alternative with no waiting list. The pan includes a hard case for traveling or shipping, they're also very rust resilient due to being nitrided. Note: This instrument frequently goes out of stock. The Rav Drum is a fantastic alternative to the Spacedrum, it's highly resonant and is around the same price. The Galaxy Mystic is a deeply resonant hand pan. It's also made from 1.2mm hardened steel which creates enormous sustain. The steel tongue drum comes with drum mallets an instruction booklet and a padded bag for travel.